Earlier this week, Microsoft used its MWC press conference to announce the next version of its HoloLens mixed reality visor. When it demoed the first version back in 2015, quite a few pundits assumed that the company had somehow faked the demos because this kind of real-time tracking and gesture recognition, combined with a relatively high-res display and packaged as a standalone device, had never been done before. The fact that Microsoft took its sweet time to release this next version clearly shows that it wanted to gather feedback from its first set of users and developers who wrote apps for it. Microsoft also wasn’t under a lot of pressure to release an update, given that it never had a real competitor, with maybe the exception of Magic Leap, which is still in its very early days. If version 1 came as a major surprise, then version 2, which I’ve now had time to try at MWC, is in many ways the natural evolution of the original promise: it’s more comfortable to wear, the field of view is large enough to feel more natural and the interaction model has been tweaked to make using HoloLens apps faster and easier. The hardware, too, has obviously been brought up to modern specs. The first thing you’ll notice when you try the new version is that the initial calibration process that measures the distance between your eyes is now automatic. You essentially play a little game where you track a light in front of you and the new gaze recognition system takes care of setting up the calibration. Once that’s done, a hummingbird appears and lands on your hand. That’s also when you realize how much bigger the field of view has become. The bird is big enough that I’m pretty sure it wouldn’t have fit into the relatively small box that restricted the HoloLens 1’s field of view. Don’t get me wrong, the experience is still not quite what Microsoft’s videos would have you believe. You are still very aware of the fact that there’s an abrupt end between where the AR images appear and where they end — but it’s far less jarring now that you have this bigger box. As far as the resolution goes, the specs are pretty much the same and there’s no practical difference that I noted. The other thing you’ll notice right from the get-go is that Microsoft wasn’t kidding when it said that the new HoloLens would be far more comfortable to wear. The original felt clamped to your head (and for me, it had a tendency to slowly slide down my face) and you never quite forgot how heavy it was. The new one rests comfortably on your forehead, and, while you still essentially clamp it to your face by tightening a knob at the back, wearing it feels far more natural. The actual device is only a few grams lighter than the first edition, but with what I assume is a different weight distribution, it simply feels lighter. And if you wear glasses, then there’s no pressure on those anymore either because none of the weight rests on your nose. 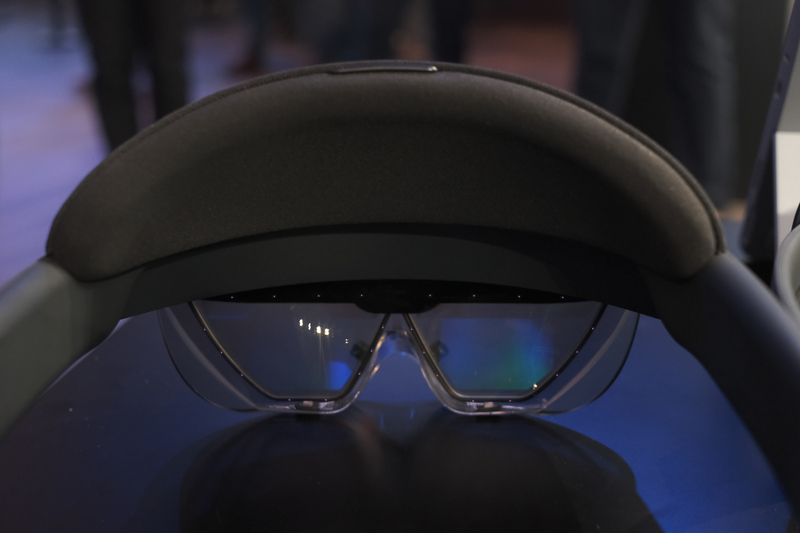 Another major difference: The HoloLens 2 is now a real visor that you can flip open. So while you can obviously look through the lenses, you can now also easily move the HoloLens away from your face. As you go through the process of trying the new HoloLens, you’ll sooner or later come across menus, buttons and sliders. In the first version, the hand and gesture tracking wasn’t quite there to let you interact with those naturally. You’d have to use special gestures for that. Now, you simply tap on them as if you were using a smartphone. And when there’s a slider, you grab it and move it. The new demo applications that Microsoft showed off at MWC make good use of all of these. And there’s another difference: This time around, Microsoft is clearly stating that the HoloLens 2 is for business users, and all of the demos focused on those. Gone are the days of shooting aliens as they break through your walls or playing virtual Minecraft on a table in your living room. Indeed, as Lorraine Bardeen, general manager of Engineering, D365 Mixed Reality Apps at Microsoft told me, the company clearly encouraged a lot of experimentation when it launched the first version. By now, those use cases have become clear. “When we first started with HoloLens, both internally and in the first wave when we talked about, that this was a completely wide open technology,” she said. “It’s like if you had asked 30 years ago, what could you do with a personal computer. We started by making a bunch of sample applications.” Those applications showed off what you could do in gaming, communications, commercial applications, etc. “We started by saying that this could be and do anything,” she added. 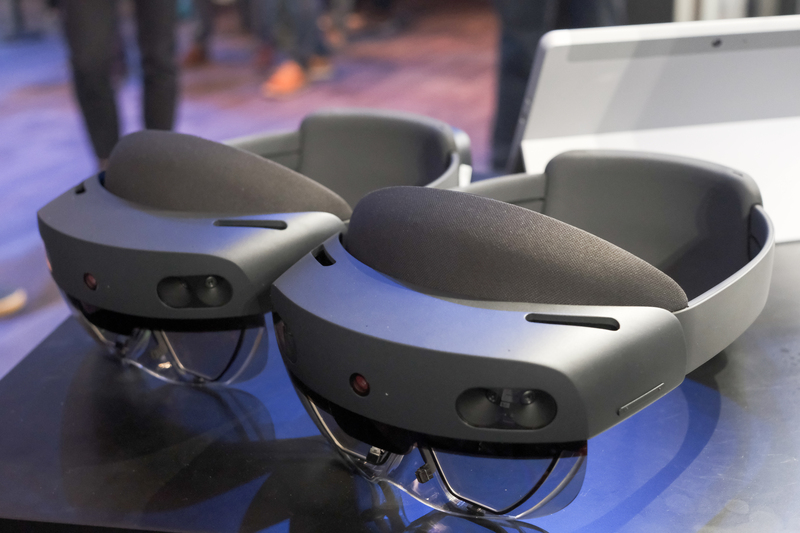 But as HoloLens 1 arrived in the hands of users, a couple of clusters emerged and it’s those that Microsoft wants to focus on for the best out-of-box experience. But it’s also worth noting that Microsoft has committed to keeping HoloLens an open ecosystem. So if game developers want to create games — or their own game stores — there’s nothing holding them back. 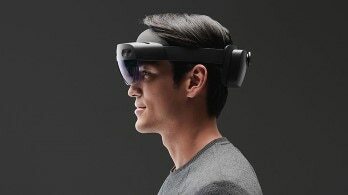 Even though it’s now a far more capable device, at $3,500, it’s not a consumer device, and I don’t expect we’ll see any AAA games ported to HoloLens 2 anytime soon.